With blankets of snow covering the country and the chill of winter winds whisping through the cracks, nothing warms my angel like a sweet cup of ginger honey tea! Instead of a sick tummy or a bad case of the itchies,this drink serves up a helping of vitamins, while it warms your tummy. Peel ginger and cut into 1/4 inch thick pieces. If the ginger is young and the skin is still pretty, you can just wash and chop it. Place ginger in a pot of water and simmer for one or two hours until all of the goodness has been sucked out of the ginger roots. Strain "ginger" tea into a jar and store in the refrigerator. 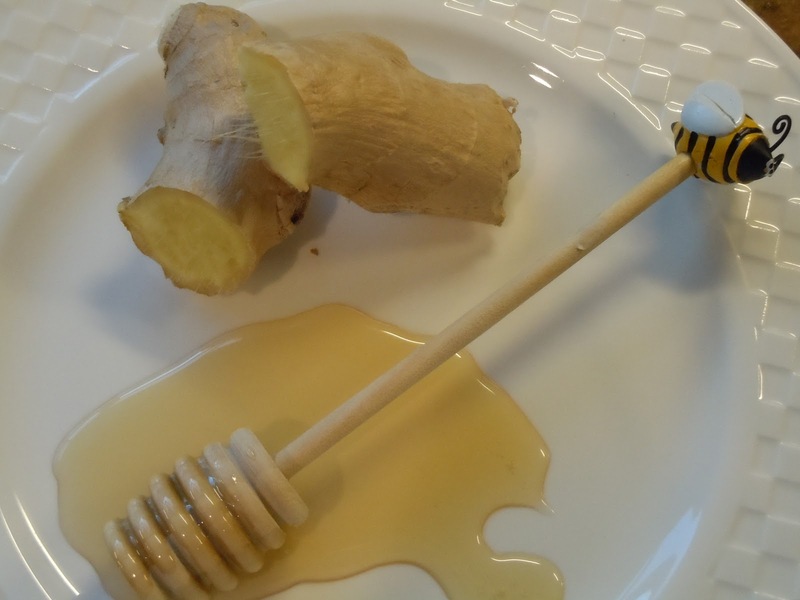 When you are ready for a cup of Ginger Honey Tea, place 1/4 cup of the Ginger Tea with 1 tsp of honey and 1/2 Cup of warm water in a wintery mug. Stir well and sip by the fire.